Ardi Kolah is Executive Fellow, Henley Business School and a privacy consultant. 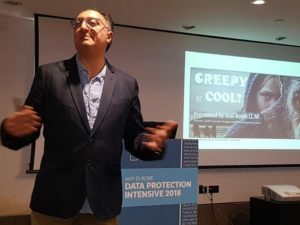 He’s guided Hitachi to become the first to achieve BS10012:2017 in the UK and is Founding Editor-in-Chief of the Journal of Data Protection & Privacy published globally by Henry Stewart Publications. He started his career at the BBC before working for Andersen Consulting as a senior manager. He’s recognised as one of the leading data protection practitioners in Europe and has provided advice to the Government in Scotland, the Shadow Minister for Digital Economy and Senior Civil Servants as well as trained Nationwide, HSBC, Accenture, Santander, Hitachi, Sainsbury’s, John Lewis Partnership, Marks & Spencer, SolarWinds MSP, HCL, CarbonBlack, Century Link/Level 3, Lloyds Bank, Capita Asset Services and many others on GDPR. He’s a previous external examiner of the foundation and practitioner certificates in data protection and privacy for the British Computer Society. 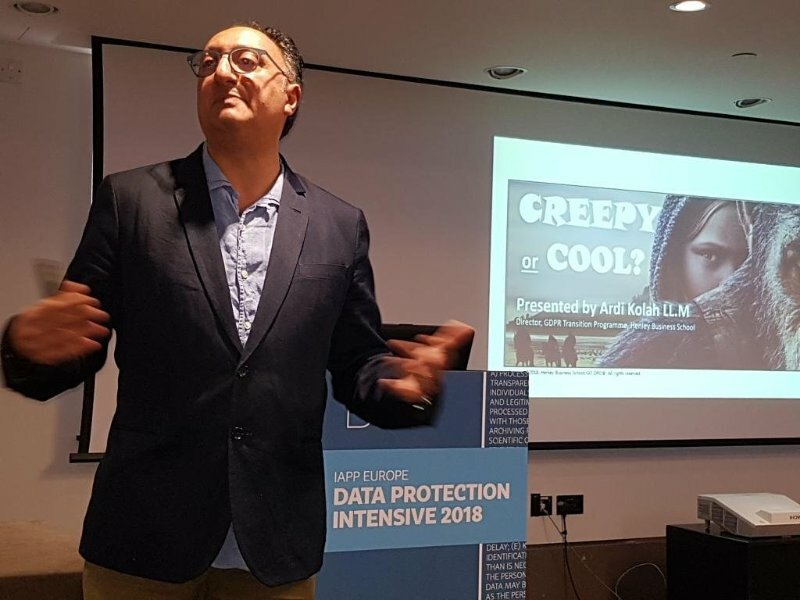 Ardi Kolah is Founding Editor-in-Chief, Journal of Data Protection & Privacy and is a keynote speaker/chair all over the world on GDPR and for many organisations including the BBA (UK Finance), IAPP (Europe), Institute of Directors (New Zealand), International Corporate Health Leadership Council (Dublin), SolarWinds MSP (Amsterdam) and many others. Ardi Kolah is also Chairman of the Law & Marketing Committee for the Worshipful Company of Marketors, a Livery Company in the City of London that he was asked to set up by Sir Paul Judge over six years ago. On behalf of the Lord Mayor Charles Bowman and the Livery Committee he delivered a special GDPR Seminar at Goldsmiths’ Hall, London attended by 101 Clerks of Livery Companies (February 2018). Ardi Kolah was a judge for the ICO in its inaugural DPO Award 2018 and in June was appointed as part-time DPO for Hitachi across Europe (excluding Germany). He attended Kingston University, achieving a First in Administrative Law and was awarded a scholarship to King’s College and University College London where he achieved an international Master of Laws (LL.M). Ardi Kolah is currently in the process of applying for a PhD supervision at the London School of Economics in European data protection law. Guru in a Bottle has been specially written for readers with one year’s experience in sales and marketing, from student to business manager. Guru in a Bottle is about taking technical, high level subjects and making them clear, human and accessible. Unlike many other sales and marketing books, which tend to treat the reader as a blank canvas, the Guru in a Bottle approach is to guide the reader as their friend and personal guru. The best-selling series for sales, marketing and law worldwide for Kogan Page consists of: Essential Law for Marketers, The Art of Influencing and Selling and High Impact Marketing That Gets Results. In November 2015, his latest book Improving the Performance of Sponsorship was published by Routledge worldwide.